Deslacs Dempsey Mallya EX-93-USA 4yr. A Supersire grand dtr of Cosmopolitan! Mulitpl sons in AI! Outcross with great type! Top 10 *RC female in Europe! I-Cow Facebook Emilia VG-85-UK 2yr. EliteStreet Genetics Limited is an expert grouppassionate about building a unique Livestock Elite Pedigree business, operating on a world stage. 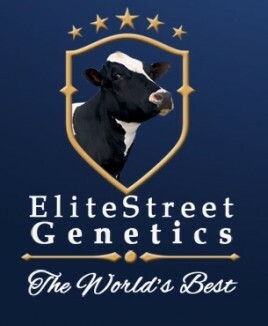 We specialise in Elite Pedigree Breeding at World class level. We operate in Ireland, U.K., Germany, The Netherlands, Japan and the USA. In 2016 we are expanding into Canada.